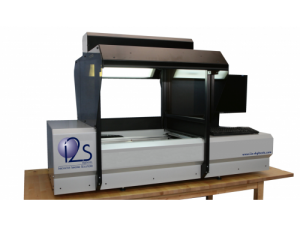 The SupraScan™ Quartz A1 HD is the best planetary scanner to digitize up to A1+ format with superior image quality and productivity. 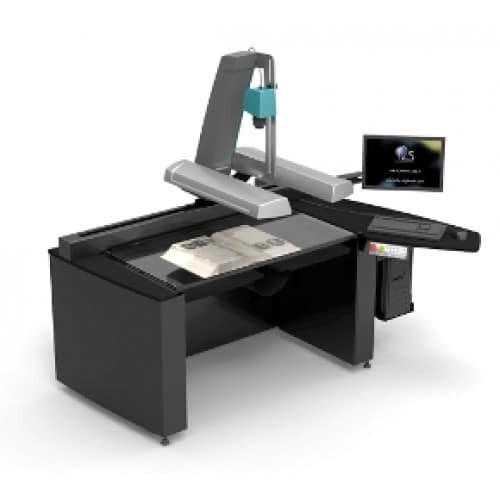 The new SupraScan™ generation, called “Quartz”, has been optimized and come today with a new HD camera, a new book cradle, a new lighting system, a new software and exclusive features. 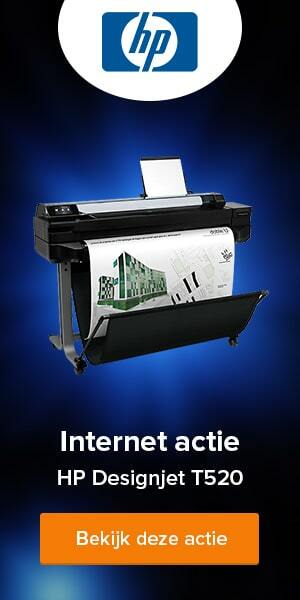 This is why, the SupraScan™ Quartz A1 HD is today the best high resolution scanner for A1 documents. The SupraScan™ Quartz A1 HD benefits at glance: The SupraScan™ Quartz A1 HD has been developed to achieve the highest level of benefits. Those benefits are focused on: – IMAGE QUALITY As part of i2S Group internationally well-known in industrial vision, i2s DigiBook has a high level of knowledge in image technologies mastering perfectly sensor, optics, electronics, lighting and image processing technologies. This is why, the SupraScan™ Quartz A1 HD reach the highest level of image quality in terms of resolution efficiency, color rendering, noise and is compliant with the international FADGI and Metamorfoze Preservation Imaging Guidelines. 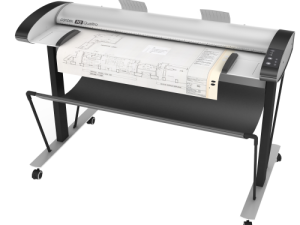 – PRODUCTIVITY The SupraScan™ Quartz A1 HD has been developed to reach the highest level of image quality but with no compromise on speed and productivity. 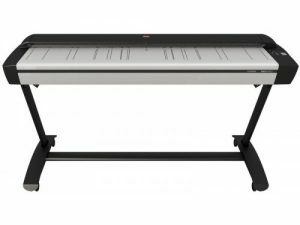 With high quality camera components, powerful server, optimized scan sequence and saving process, the SupraScan™ Quartz A1 HD offers a very good level of productivity at that level of image quality. – ERGONOMICS All aspects have been studied to maximize operators’ productivity and comfort. This why the command panel location, the scan process, the lighting configuration, the automatic functions and the easy to use software interface offer the best conditions making the SupraScan™ Quartz A1 HD an easy and powerful scanner to use day after day. 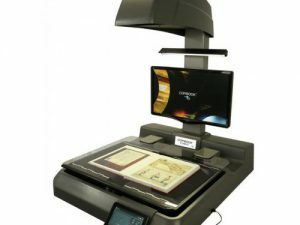 – VERSATILITY OF USES With many options like book cradle (25 or 50 cm), V-shape cradle, lighting table, the SupraScan™ Quartz A1 HD allow to digitize various type of documents from various quality and sizes: books, maps, registers, paintings, negatives, etc. – RELIABILITY With a chain of design, conception and manufacture driven by high quality guidelines, all SupraScan™ Quartz A1 HD are articularly robust and reliable. This is why, since 2005 more than 500 SupraScan™ are operating successfully for nearly 380 customers worldwide as libraries, archives, universities, town halls as well as service providers. Some of them are working in two shifts of 8 hours without any trouble. The i2S group quality management is certified by the international standard NF EN ISO 9001. 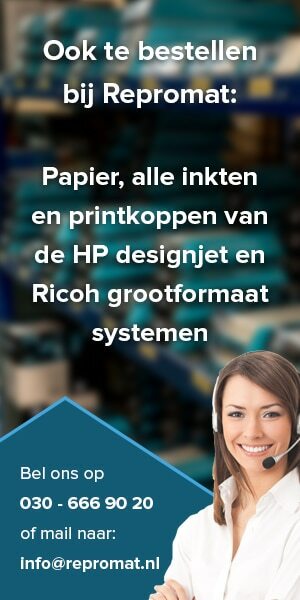 – DOCUMENT PRESERVATION The conception of the SupraScan™ Quartz A1 HD has taken into account the use of very fragile documents. 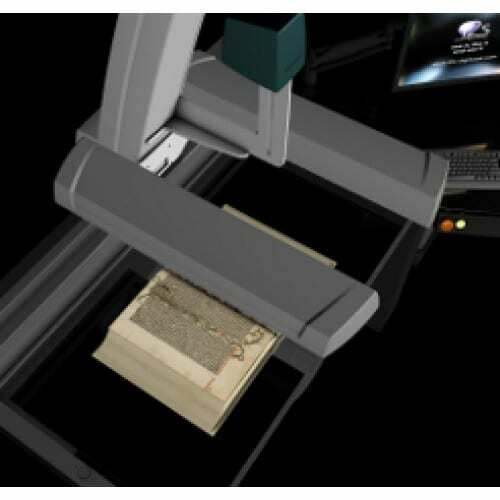 This is why the scanning plate access, the glass pressure, the book cradle, the light technology are optimized to respect and minimize the contact with the documents.